What Are Some of the Most Popular Atlanta Gay Clubs? 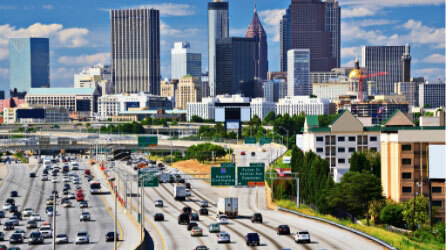 Here in Atlanta, you can find some of the most exciting nightlife activities in the country. Stonehurst Place’s location in the heart of Midtown lets our guests experience the best of what our bustling city has to offer. With such a diverse community and culture, you will have no trouble finding entertainment to suit your preferences. If you are looking for Atlanta gay clubs, we welcome you to explore this blog for ideas and inspiration on the best options. Along with great Atlanta gay clubs, our area is home to a wide variety of things to do and places to see for all visitors. Request your free Travel Guide for helpful information on must-see attractions, popular activities, annual events, and more! Our guide will help make your trip memorable, whether you are traveling for business, a weekend getaway, or an extended vacation. Get yours now! You can find many of Atlanta’s best gay clubs right here in Midtown, just minutes from our bed and breakfast. One of the most popular spots is Blake’s on the Park. It’s the perfect place to go for music, food, drinks, and dancing! You can also enjoy unique events and themes each day of the week, including their popular All Music Mondays. If you are looking for an incredible evening of dancing, Blake’s on the Park is for you. The facility has been open for over 30 years and knows how to host a good time. Plus, you won’t need to worry about a cover charge when you go! Another popular gay nightclub in Atlanta is Mixx Atlanta. This hotspot continuously attracts crowds for its live music performances and unique drink specials. Be sure to try one of six signature cocktails from four full-service bars onsite. Mixx is located in Midtown just a short walk away from Piedmont Park and is well worth a trip. Feel free to make it a late night with extended hours until 3 a.m. Although you can get small bites to eat here, the owners are working on expansion plans to add a full restaurant and dining area to the building. Keep an eye out for updates! Many local Atlanta gay bars welcome customers of all genders and orientations, but if you are searching for a lesbian-friendly bar in Midtown, check out My Sister’s Room. Spend an evening here for a fun night of drinks and dancing with remarkable views of the city from the patio and two decks. Starting this year, you can check out the inaugural Rainbow Pub Crawl, which will occur every year in June. This pub crawl begins at My Sister’s Room and includes many other great bars in the area. Be sure to check out the annual event they host during the Atlanta Pride celebration, too! If you want to enjoy luxurious lodging near some of these great Atlanta gay clubs and other attractions in the city, consider our award-winning, 19th-century mansion. We’ve preserved the historical details of this stunning property while including modern amenities, expertly designed rooms, and a collection of museum-quality artwork. 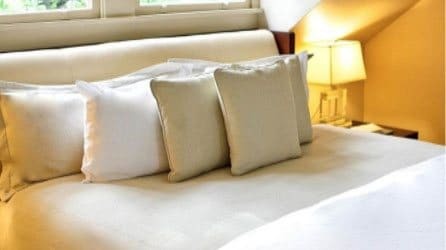 One of our most elegant guest rooms is The Farnsworth, which features a deluxe queen-sized bed, cozy fireplace, and a contemporary bathroom with custom marble flooring and a heated towel rack. Check our availability and book your stay now! We look forward to seeing you!